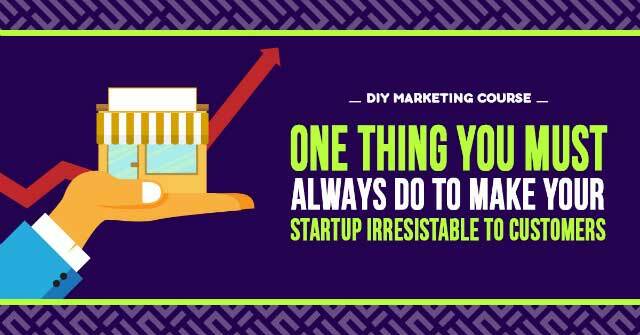 This guide will acquaint you with the single most important thing you can do to make your business irresistible to customers. But alas! You realise that building it does not necessarily mean they will come. You need to do some heavyweight marketing for your startup. However, like numerous other startups, your budget is tight. That means using traditional advertising media is out of the question. There is only one way to market your new business on a tight budget: Digital Marketing. Digital marketing offers a cost-effective way of reaching out to targeted audience during the crucial startup phase. Moreover, note that none of the above includes the cost of production, which can range to hundreds of dollars. 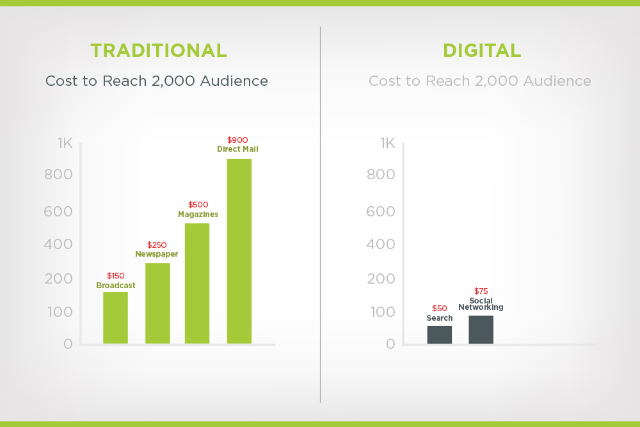 Although the above costs are just estimation (there are agencies that charge much more), they are still much cheaper (and more effective) than advertising on traditional media. And cost is not the only benefit that startups stand to gain by going the digital marketing way. With digital marketing, you can encourage your prospects to take immediate action. They can visit your website, follow your accounts on social media, signup for a trial of your product, or redeem a coupon code for one of your products. Today’s consumer has grown tired of being advertised to. He is looking for something more entertaining and engaging. Digital marketing helps brands to grow by delivering tailored and personalised experiences to prospects. Customers are more likely to buy from brands that engage them. Getting to know your customers at a personal level is one of the chief advantages you get to enjoy as a digital marketer. Digital marketing not only engages your prospects, but also offers your startup numerous opportunities to track, monitor, analyse, and interpret prospects’ buying behaviours and preferences. Unlike conventional advertising channels, digital marketing offers comprehensive statistics that you can use to tweak your campaigns. You can see what is working and what is not, in real time. Your digital marketing campaigns can be seen anywhere in the world. You can launch your startup in Australia and target prospects in Africa with your digital marketing strategy. This type of marketing transcends borders, and can be precisely targeted to your buyer persona. 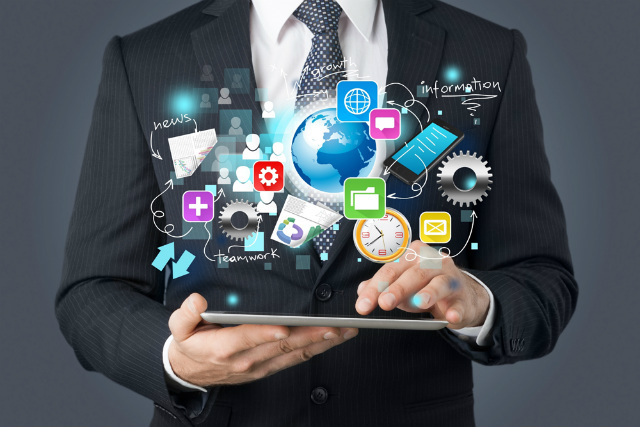 Do you need more convincing that digital marketing is the way to go? I didn’t think so too. So, let us concentrate on the things that really matter. At the heart of every successful digital marketing campaign is a great website. Let’s assume you have an incredible product, you designed a great website, and a checkout process that removes all points of friction. No, I’m just kidding. If it were that easy, every startup ever launched would be a multibillion dollar company. Your website could be a great work of art, but it probably is hiding in the darkest corner of the internet where traffic is like the bedtime monster; as much as you want it to exist, it doesn’t. You need to think about bringing new prospects to your website. You need to create an effective traffic acquisition strategy. We’ll get to each of these, but before we do, we need to mention something about audience connections. Whichever traffic acquisition you use, you need to make sure that you are connecting with the right audience ‑ people who are most likely to become paying customers. The first question to ask when you think about traffic acquisition is this. Who do I need to reach? Once you have answered this question, you can venture out to find where your target hangs out. You might find that the most obvious and effective way to reach your prospects is via Snapchat, LinkedIn, Twitter or Facebook. After you’ve found and attracted traffic to your website, you’ll need to bring them back time and again because, as you’ll soon find out, very few users buy on their first visit. Web traffic falls into two main categories – paid and free. Free traffic is all visitors who arrive on your website organically – you do not pay to get them there. Sources of free traffic can include word of mouth referrals, viral videos, social media posts, and news outlets that might have covered your event. Paid traffic, on the other hand, includes web visitors who land on your website via paid placements. These paid placements could be social media ads, banner ads, and sponsored content. Is one traffic source better than the other? There is a popular myth in digital marketing that free is better than paid traffic. We beg to differ. There are no inherent advantages of one traffic source over the other. Both traffic sources involve almost the same level of investment in time and money; and free traffic isn’t really free. To get free traffic, you need to devote a significant amount of time and effort in building a strategy to pull it in. By building relationships with journalists, you can get them to do coverage of your events such as product launching. You can also connect with top bloggers in your niche, and have them give you a shout on their blogs. 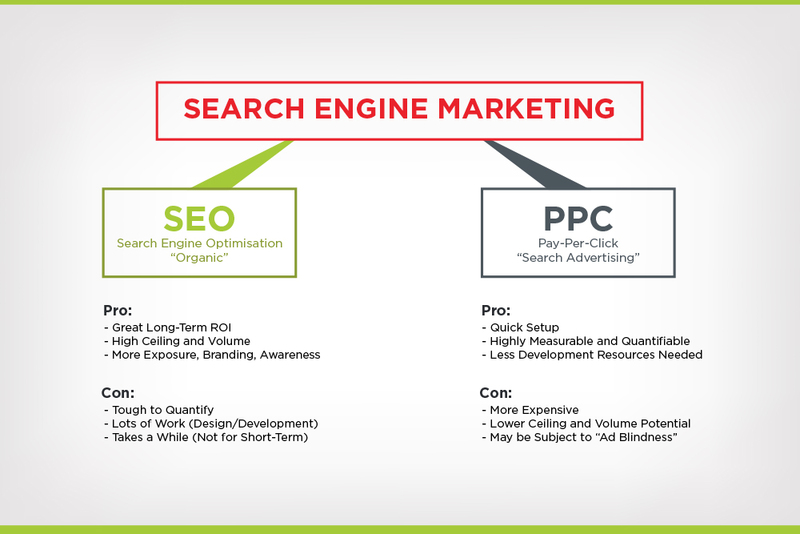 Develop a digital marketing strategy that will increase your website’s visibility in search engines. When your prospects search for information online, your website should provide answers to these questions. Develop a presence and influence on popular social media networks including Snapchat, Facebook, Twitter, LinkedIn, and Quora. 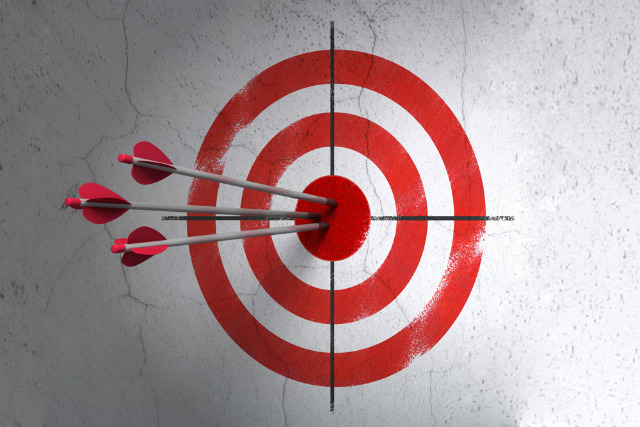 Put most focus on the networks where your target audience hangs out. It is not enough to have visitors get to your website just once. Once you get them there, you need to keep them revisiting. Building an email list can help you achieve that. As you can probably tell, the term ‘free traffic’ can be a little misleading. Your startup will still need to spend a significant amount of time and human capital to come up with a strategy that brings in free traffic. 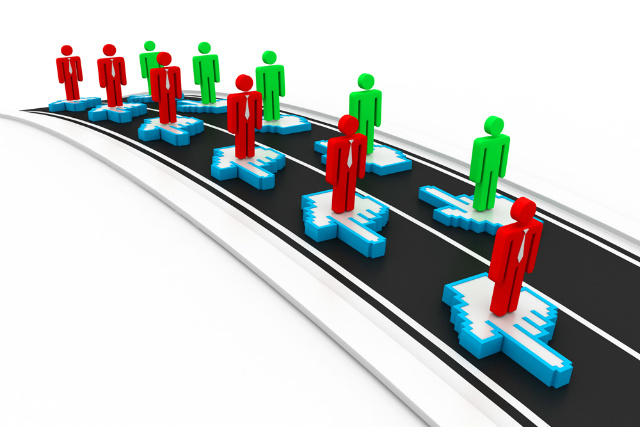 To reduce the cost on free traffic, you might want to leverage your team’s existing talent. 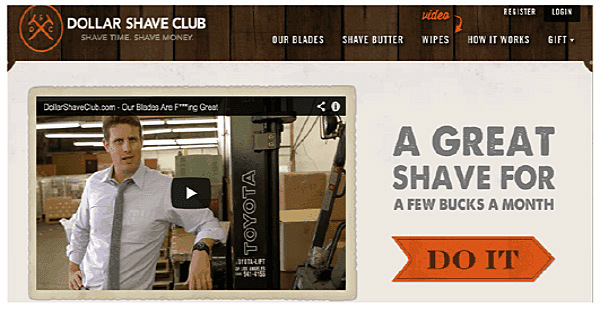 A good example of effectively leveraged talent is the Dollar Shave Club. Michael Dubin, the CEO of the Santa Monica startup created a viral video that changed the business’ history forever. The company got 5,000 subscribers on day one of its launch! I am not saying that you should expect the first viral video you launch will skyrocket your startup into the stratosphere. Overnight Silicon Valley success stories are exceptional and far between. Connecting with social influencers in your industry is probably the quickest and most effective way of increasing your brand’s reach. It could also be the hardest for a business owner who does not know how to go about it. The truth is that there is no magic formula to connect with social influencers in your industry. It takes commitment and sometimes a bit of luck to get the bigwigs to share your message. A recommendation from one of them may be all you need to triple the reach of your brand. You can use a tool like Buzzsumo to find the social influencers who produce the most viral content in your industry. Perhaps your target market is the Kindle Self-Publishing industry. 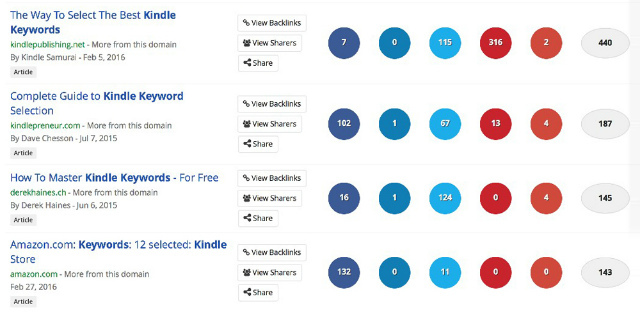 If you’ve built a tool that helps authors find keywords for their books, searching for the phrase “kindle keywords” on Buzzsumo will give you a list of the most viral content related to the phrase. Paid channels are a powerful driver of web traffic. At times, they can be cheaper than ‘free traffic’. These channels include banner advertising on websites, search engine marketing on Google, Yahoo, Bing, and other search engines, as well as social media retargeting. Paid traffic can be a great way to create brand awareness as well as draw prospects to your website. Unfortunately, very many startups shy away from paid ads, for fear of incurring costs that they may not be able to recover. But such thinking is usually self-defeating. Many paid traffic channels will actually only charge you once your prospects take an action on your ads. A good example is Facebook’s Pay Per Install advertising model. Prospects can install apps directly via Facebook’s mobile platform, and marketers are only charged when a user installs an app. If one of your goals was to drive installs of your app, wouldn’t this be a better customer acquisition strategy? And Facebook is not the only social network that is running such ad models. Moreover, the cost of acquiring leads via paid channels is surprisingly low; mostly costing under a dollar for each acquired lead. Companies that are afraid of spending money on paid advertising are missing a lot. When done right, paid ads are a solid revenue driver. Of course, you shouldn’t start with a million dollar advertising budget. The trick is to start small. Test and tweak your ads until you find a strategy that works for your brand. Start with a hundred dollars and keep collecting and analysing data to see what works for you. You Have ‘em on Your Website, Now What? In the previous section, we were all so immersed into getting traffic onto your website. Let’s say you finally got your prospects on your website, now what? Did you think your work was done? Shock on you! Traffic acquisition is only half of the digital marketing equation. After bringing tons of targeted traffic to your website, you need to make them stay longer and convert them from casual visitors into paying customers. And after their first purchase, you need to make them into royal raving fans of your brand. For this to happen, you need something that the digital marketing sphere calls conversion optimisation. This is a concept that every marketer must fully understand. If your website is not optimised for conversion, all efforts at getting traffic are wasted. When visitors arrive on your website, they go through a certain path before they decide whether your offer is right for their needs. The path varies from business to business based on the business’s products, pricing points, and industry. As a digital marketer, it is your task to understand this path and make the transition through it seamless. Notice that this path resembles a funnel. In fact, the path that prospects take from the time that they land on your website is called a conversion funnel. The funnel starts wide at the top, and gradually narrows down. Prospects drop off at various areas of the funnel. Maybe they realised that your product wasn’t the best match for their needs. Maybe they realised your product was overpriced. Or they probably decided that the time isn’t ripe for purchase. 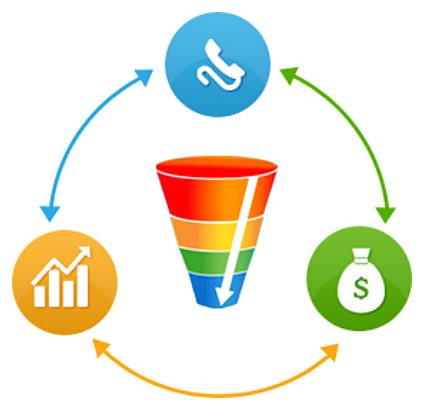 It is normal and natural for prospects to drop off the funnel. However, there are a few things that you can do to increase conversions. You could, for instance, make your offer look more trustworthy; or simplify the signup process. Conversion optimisation is the sum of all these little things that you can do to reduce the points of friction and resistance once a prospect lands on your website. To make sure that your website is well optimised for conversions, you will need to get the psychology, design, copywriting, and analytics right. If one of these elements is wrong, the whole conversion funnel will suffer. Your prospects have pressing needs and priorities. By seeking to understand where prospects are coming from, you will manage to tweak the copy, design, and messaging to suit their needs. 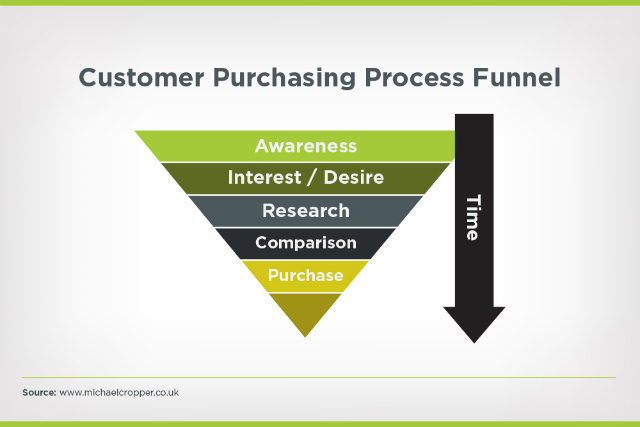 It is important to understand what your prospect’s needs are at every step of the funnel. For instance, when they first land on your startup’s website, their most basic need is information. If you push them too hard for a sale, they will drop out of the funnel. Your website pages should be designed with conversion in mind. They should be easy to read, draw human interest, and aesthetically pleasing. Don’t make prospects guess who you are or what you have to offer. The copy on your website should be succinct and to the point. Keep in mind that prospects are using all manner of devices to access your website. Your marketing copy needs to convey as much information as possible in little space. Make sure that your copy communicates your Unique Value Proposition (USP) very clearly. Include a headline, sub-headline, and a reinforcement statement on your lading pages to increase their effectiveness. 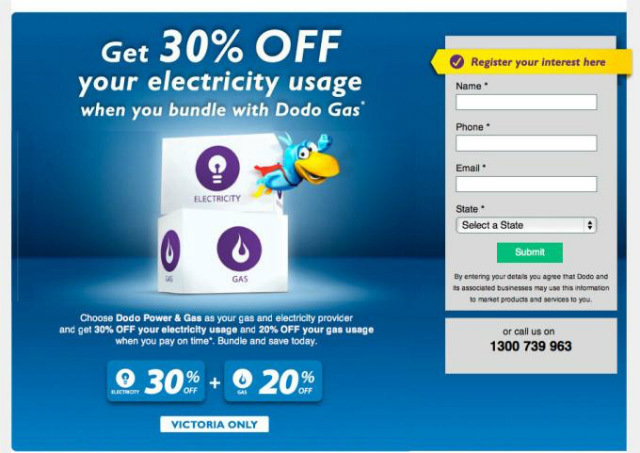 Here is a screenshot from Dodo that shows how the three elements complement each other to increase the efficacy of their landing page. Analytics will give you the answers. They will tell you who your prospects are, what they are doing, and why. More than that, web analytics will clearly point out what is going on with your digital marketing strategies and whether it’s working. To get the best out of analytics, you need to identify the best tools to use and the best metrics for your startup. However, before you go shopping for all manner of software, you need to clearly understand what you want to achieve from analytics. If you are not careful, you will drown yourself in a sea of data. Analytics should be actionable. They should give you a whole narrative about how prospects are interacting with your website at every stage of the funnel. Awareness: Watch out for natural search terms, unique visitors, and referring sites. Engagement: Informative metrics include page views, social media engagement, return visitors, and completion of tasks on the website e.g. watching a video. Retention: Check for return visitors, repeat purchases, and overall customer value. Email marketing deserves a special mention when we are talking about digital marketing for startups. If you don’t have an email list as yet, you are missing on one of the most effective digital marketing strategies. 95% of your prospects use email on a daily basis. In fact, email marketing is 40% more effective than Facebook and Twitter combined. However, you should fight the overwhelming urge to buy an email list from somewhere. Focus on organically growing your email list, and make sure you have your user’s permission to send them emails. Popular research has it that more than 95% of web visitors don’t purchase on their first visit. They are either still on the research stage, unsure whether your offer is the best for them, or they just don’t trust you enough to whip out their credit cards and click Buy Now. It is even scarier to think that 90% of these new visitors will never return to your website. But there is something that you can do to tilt the odds in your favour. So, if you know that the vast majority of your website visitors won’t buy from you on their first visit and won’t even consider returning to your website, why would you want to push it? Doesn’t it make sense to gradually build trust before you ask them to purchase whatever you have to offer? Instead of trying to squeeze them into parting with their money on the first encounter, your main aim should be on building a list. You might have heard that the money is in the list, right? There’s never been a more effective marketing channel that beats email marketing. It gives you the power to control your prospects behaviour. It drives page views, reviews, and anything else you want to promote. In fact, Capterra found that every $1 that you pour into email marketing returns an average of $44. Most marketers have realised just how powerful email marketing is. They are actively collecting emails and marketing to their prospects using email. Almost every startup and small business is asking prospects for their email addresses. The competition has, in return, made prospects lesser willing to part with their email addresses. Email opt-in has been dropping drastically across the board. But we believe that you can outperform the average business in getting email subscription. If you are not so sure of that right now, you’ll change your mind once you complete reading this section. If you are currently receiving five email signups per day, increasing this number to 8 makes a whole lot of difference. At the end of 30 days, the difference would be about 100 subscribers. So, What are Lead Magnets, and How Do You Start Creating One? Back when email was first invented, you could simply ask for emails and prospects would ungrudgingly give it to you. But things are rapidly changing. 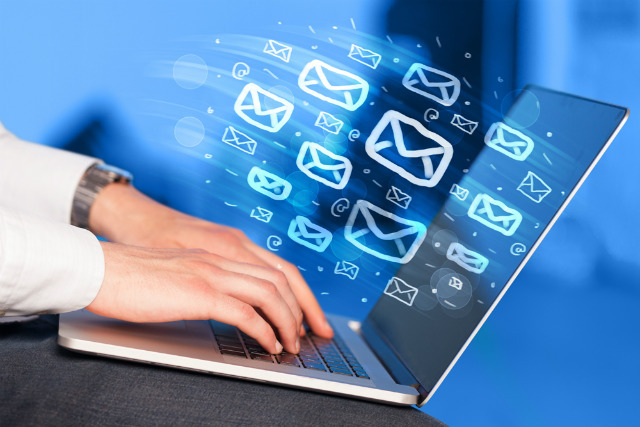 Your prospect’s inbox is flooded with messages, and the last thing he wants is more clutter. Prospects are more cautious about who they give their email. If you want to thin out the resistance, you’ll have to find ways to make them excited about giving out their email. This is where the lead magnet comes in. A lead magnet is a free offer that you give to your email subscribers in exchange for their email address. The lead magnet has to be attractive enough to defeat their concerns of privacy and email spam issues. Sadly, most startups have lousy or no lead magnets at all. This is not a lead magnet. There is nothing magnetic about it. 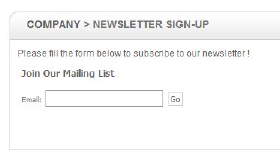 It does not give prospects a reason to be on the mailing list. Here is a lead magnet that somewhat feels better. The problem with this one is that it feels a little spammy and hyped-up. However, the lead magnet does present a clear offer to prospects. It communicates the value that they will get in exchange of their email address. The difference between a startup that gets 20% conversion rate (rare) and one that gets only 3% conversion rate is in how well their lead magnets are optimised. Sadly, many startups create their first lead magnet without planning. Your lead magnet should be something that all your visitors crave. It is easy to learn what your audience wants if you have a blog. To find out what your prospects are most interested in, simply find out how many times they have visited each article on your blog. The number of comments and social shares that each article receives also points to the level of interest that the audience has on a particular topic. Create an Excel spreadsheet with your most popular content over a period, say three months. (Hint: Ahrefs does a very good job here). 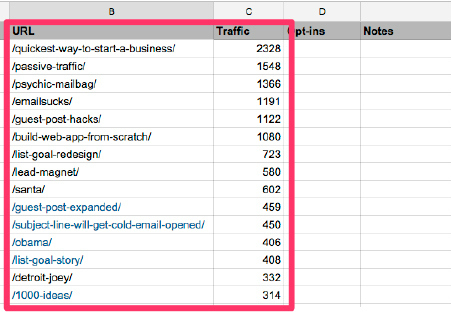 Sort the data you get by traffic, and you’ll get an indicator of what your audience cares most about. You can then create your lead magnet around these offers. Read your landing page’s headline. Does it make you want to gasp with surprise? If not, you need to create a better lead magnet or reword the existing one. 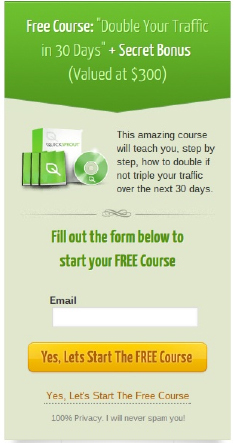 Neil Patel offers a free course valued at $300 on Quicksprout. Most subscribers would definitely be excited by the value of the offer. Remember that the main reason you are collecting emails is to forge a relationship with your prospects. Relationships are based on trust. Make sure your offers deliver exactly as promised. You could even surprise your leads with an additional surprise gift to solidify their trust. Is there any way to get your name out there, engage your prospects, and build trust than creating great industry-specific content on a regular basis? If there is one, I am yet to hear about it. Content is king, and it is easy to get your startup on the throne. You do not need to be a master of prose to create great content. Above everything else, customers are looking for answers. You can provide them with answers, regardless of your writing skills. 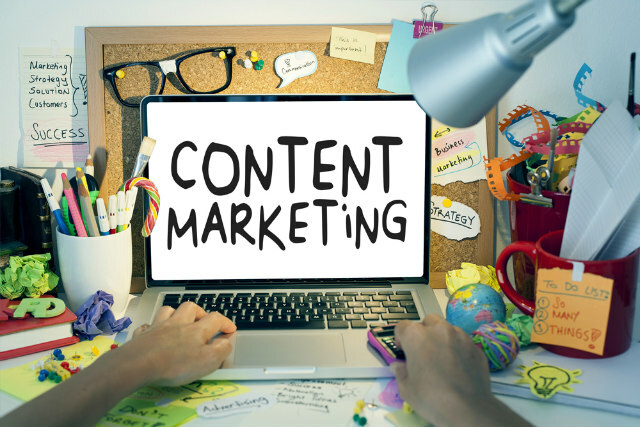 Content marketing, the art and science of creating, publishing, and distributing content, has become unavoidable among many startups. As a startup, however, you need to learn how to make your content more effective while keeping your overheads small. The more pressure you feel to create content, the more likely that content you create will be superfluous, flimsy, and downright unengaging. This is the catch 22 of content marketing. There is a whole debate out there about how frequently you should publish new content, and how long it’s supposed to be. Your audience can decipher the difference between content that is pumped out just for the sake of it and content that has been meticulously worked on. If your attempt at engaging them is to pump out $5.00 blog posts from Upwork, you are doing a very big disservice to your prospects. The era of creating content for Google bots is over. Nowadays, it’s all about creating value for your audience. Spend time on your content and research, and you’ll be rewarded with higher than average audience loyalty and much social media love. Content that resonates with your audience gets shared on social media; it gets forwarded and linked from other websites. Great content gets read from the start to the end and leaves your audience craving for more. It increases audience retention and drives conversions. And ultimately, it elevates your marketing from mediocre to superb. You’ve got to create this kind of content if you want to put your marketing campaign on steroids. You will never create great content if you do not understand who your audience is. If you’ve not created buyer personas, it’s time you did. If you don’t understand what content your audience wants, ask them. They will tell you what they are having trouble with, and you’ll have enough ammunition for your next content pieces. There is a raging debate about which one is better: reading books on an e-reader or reading a real book. That’s the kind of debate that you should have when you are contemplating creating content. a. What content format is most suited to put the message across? b. In what content format will the audience most appreciate the message? That shouldn’t be too hard to answer, should it? Real life examples bridge the gap between theory and your audience’s experiences. Sprinkle your content with case studies and real life accounts of people doing what you are talking about, and you’ll have won the day. To prove that we preach water and drink it, the whole of this article is sprinkled with real life examples. 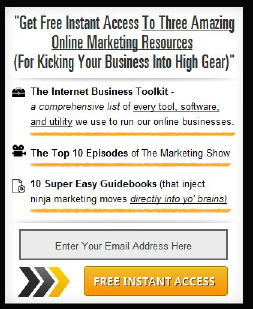 In the email marketing section, we showed you how Neil Patel is creating awesome lead magnets. Authenticity is crucial to successful content marketing. If you are too formal and on edge, you’ll lose your audience’s trust. Customers can sense disingenuous content from miles away. To create content that really resonates with your audience, pretend you are talking to a friend over dinner, not giving a chemical engineering lecture in 1982. Talking down your customers (or showing any form of disrespect) will cause them to stop listening instantly. Again, stop worrying about whether you have the right grammar and punctuation. You rarely check for them when you are talking to your friend, do you? Say what you need to say in the best way you can. If you’ve built a great product, the last thing that your customers care about is your grammar. Your leads are actively searching for information on Google and other search engines. If you consistently produce high-quality content, you stand a better chance of increasing your organic traffic. By consistently blogging, KissMetrics increased their organic traffic to 100,000 monthly visitors. These numbers are not magical. Write detailed, consistent posts: Webmasters and other bloggers tend to link to detailed content more. Your goal should be to create longer and detailed content pieces. Prioritise quality over quantity. Use visuals to make information digestible: With more than a million posts finding their way into the cyberspace daily, information overload has become the norm. Show your audience that you care. Spruce up your content with creative visuals to get more social media shares. Be consistent: The only way you are going to get ROI on your content is if you are producing it on a regular basis. Your audience needs to find new content on your website the next time they visit. Write catchy headlines: Catchy headlines will make casual ‘Googlers’ click on the link to your content in the search result pages. Make your headlines short, precise, and enticing. Production of good content is only part of the equation. You need to actively distribute your content. One of the most effective ways to distribute your content is via email marketing. People on your email list are already interested in your brand; they will be happy recipients of the good content that you have to share. Be the first person to share your content on social media, and on the same note, use tools such as Buffer or Hootsuite to schedule social media messages with links to your content. Lastly, leverage every form of content that your brand can manage to produce. Don’t restrict yourself to blog posts. If you can do infographics or YouTube videos, go for them. Webinars have also emerged as another great type of content. But don’t forget. The quality of your content should always be stellar. Now go. Leverage digital marketing and make your brand irresistible to your audience.